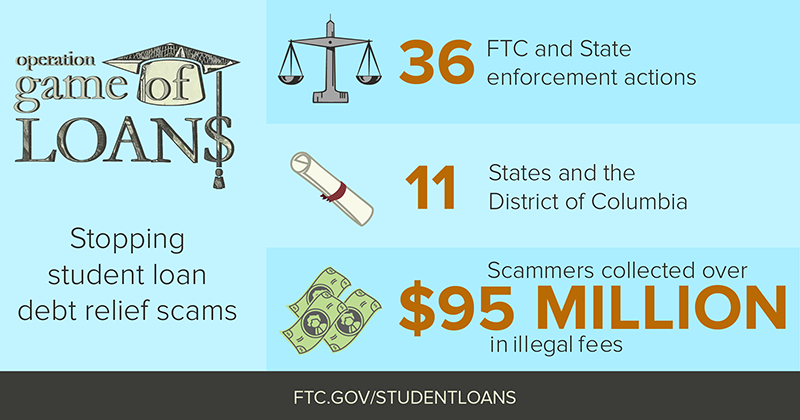 The Federal Trade Commission, along with 11 states and the District of Columbia, today announced “Operation Game of Loans,” the first coordinated federal-state law enforcement initiative targeting deceptive student loan debt relief scams. This nationwide crackdown encompasses 36 actions by the FTC and state attorneys general against scammers alleged to have used deception and false promises of relief to take more than $95 million in illegal upfront fees from American consumers over a number of years. Operation Game of Loans includes seven FTC actions: five new cases, one new judgment in favor of the FTC, and a preliminary injunction entered in a case filed earlier this year. 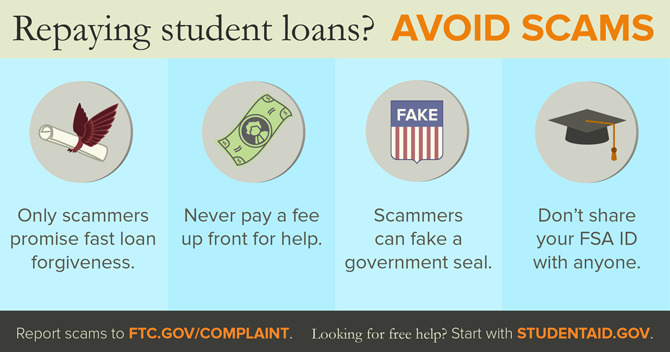 The agency alleges that the defendants in these actions charged consumers illegal upfront fees, falsely promised to help reduce or forgive student loan debt burdens, and pretended to be affiliated with the government or loan servicers, in violation of the FTC’s Telemarketing Sales Rule and the FTC Act. Operation Game of Loans also includes law enforcement actions by Colorado, Florida, Illinois, Kansas, Maryland, North Carolina, North Dakota, Oregon, Pennsylvania, Texas, Washington, and the District of Columbia. 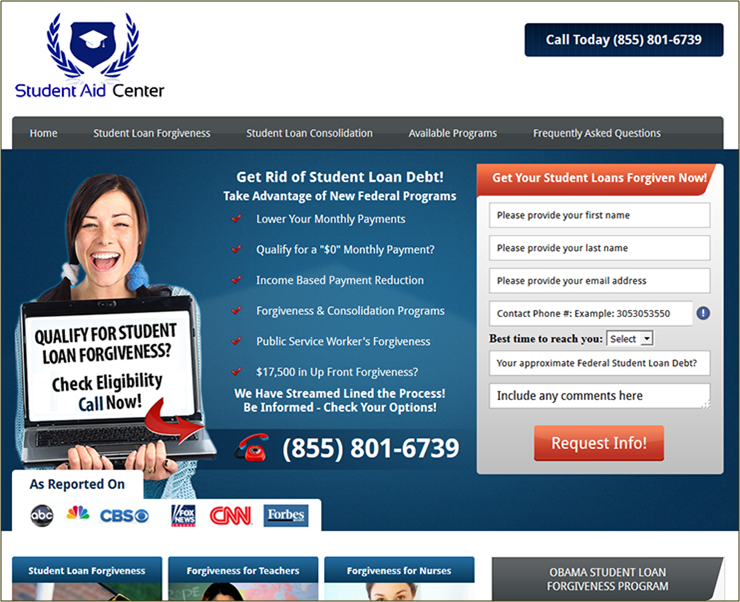 Student Aid Center, Inc., et al.